SIS is a partner in an exciting new three year project “Community Navigation Plus”. We are co-hosting an event along with TDC (Trust for Developing Communities) for services and organisations to find out about this work. It will be held on the 12th of December from 11am to 2pm at Wavertree House. We will explain how this new service can help and support people with language needs and discuss cooperation and collaboration with attending organisation, services and groups in the city. 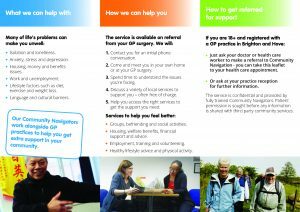 Community Navigation Plus is a free-of-charge social prescribing service in Brighton and Hove that links people to community services and groups with the aim of improving health and wellbeing. It is a development the Impetus Community Navigation Service and of the social prescribing work currently undertaken by SIS volunteers. 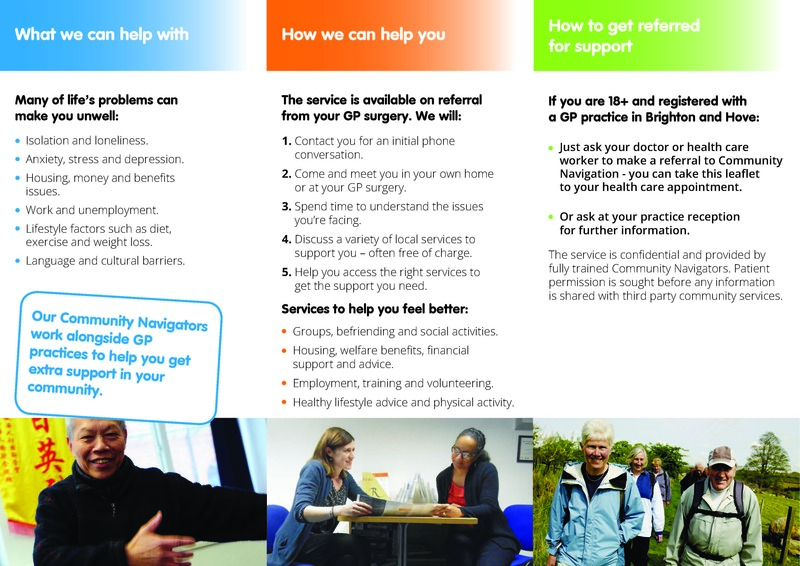 The new service, delivered by a team of trained, professional Bilingual Community Navigators, focuses on people’s non-clinical issues which may be effecting their health and wellbeing. The key to this work is helping people to be well informed, find the right services to help with their issues, and ensure they can get an appointment and have adequate support such as interpreting.